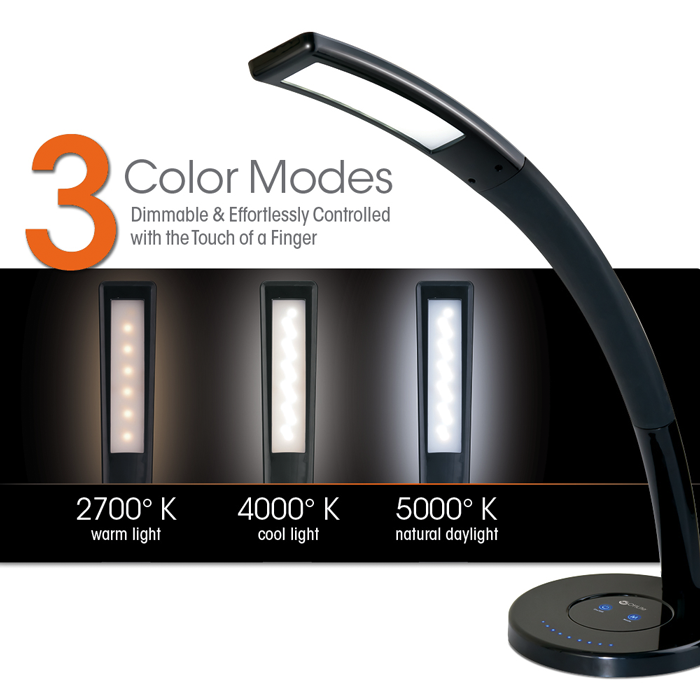 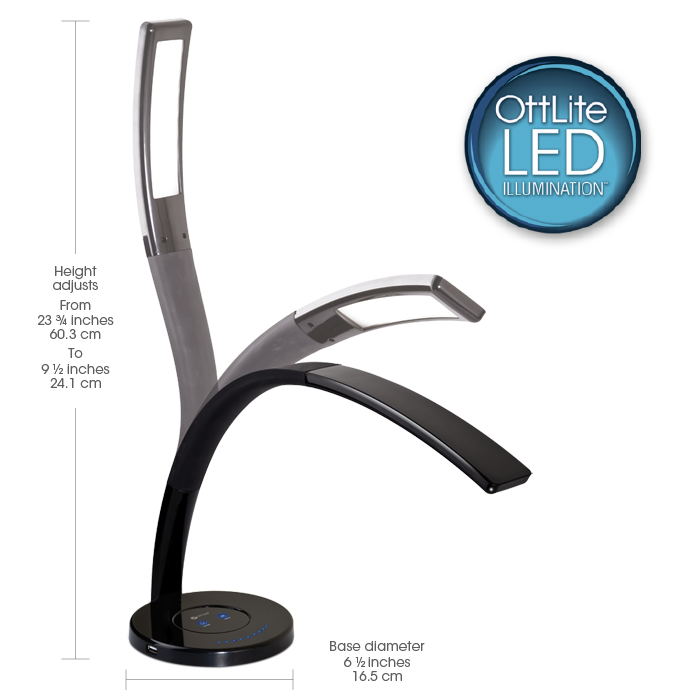 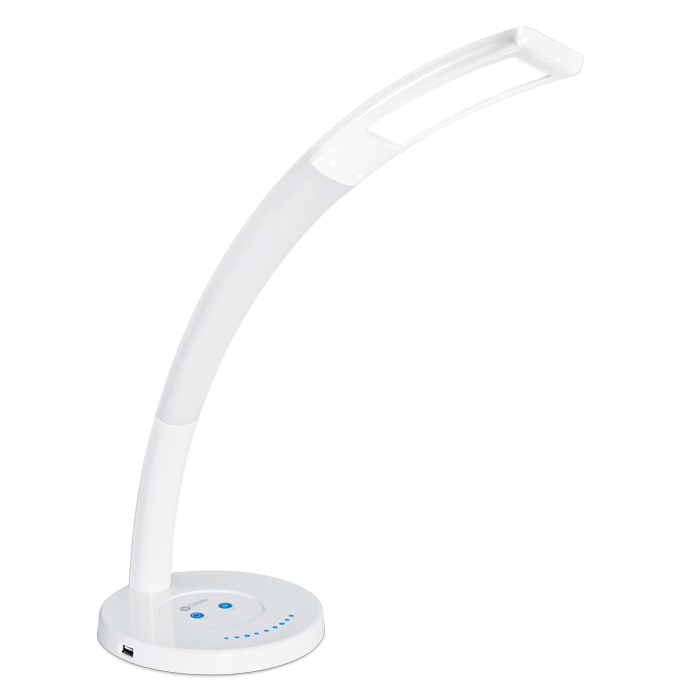 The OttLite LED Cobra Desk Lamp features 3 color modes (warm light, cool light and natural daylight) to brighten your work area. 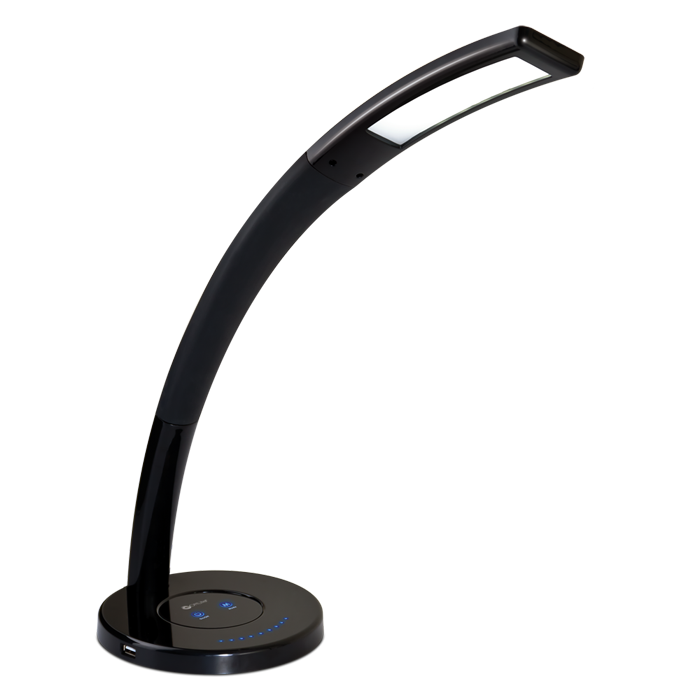 With a graceful arching design, the LED Cobra Desk Lamp twists and flexes to easily direct light over a wide area. 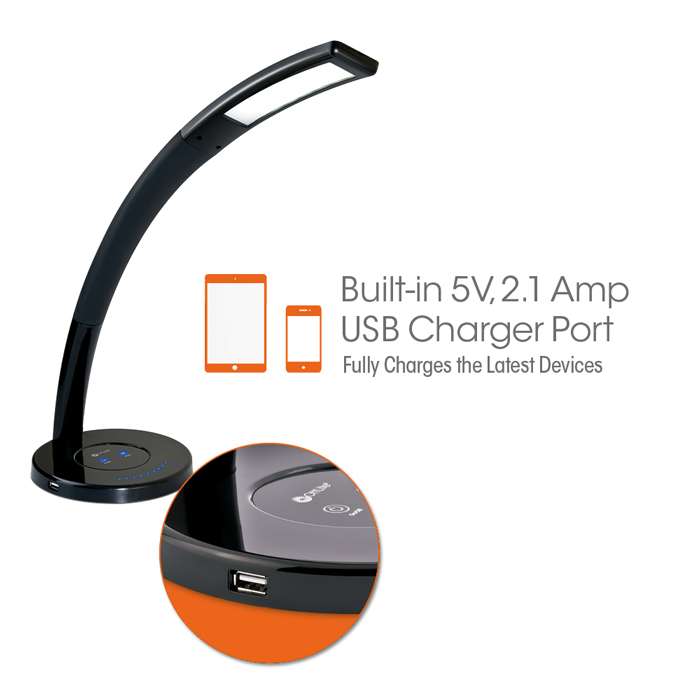 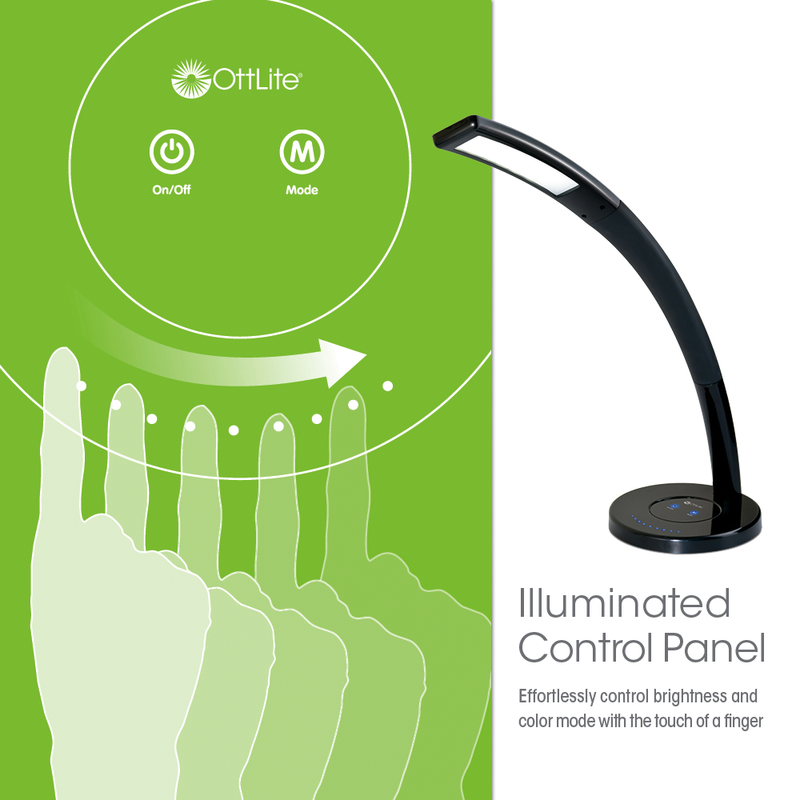 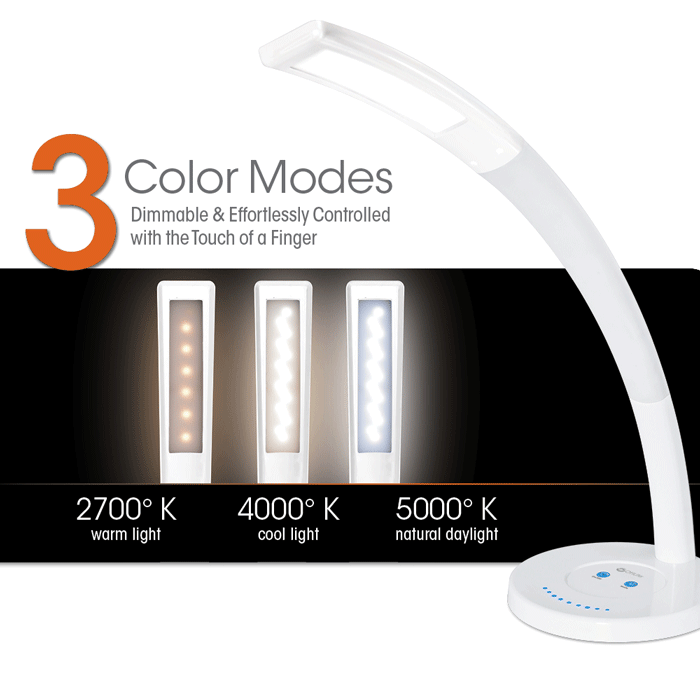 Touch lamp features an illuminated control panel that lets you adjust brightness at the touch of a finger and a USB port that fully charges your tablet and smartphone. 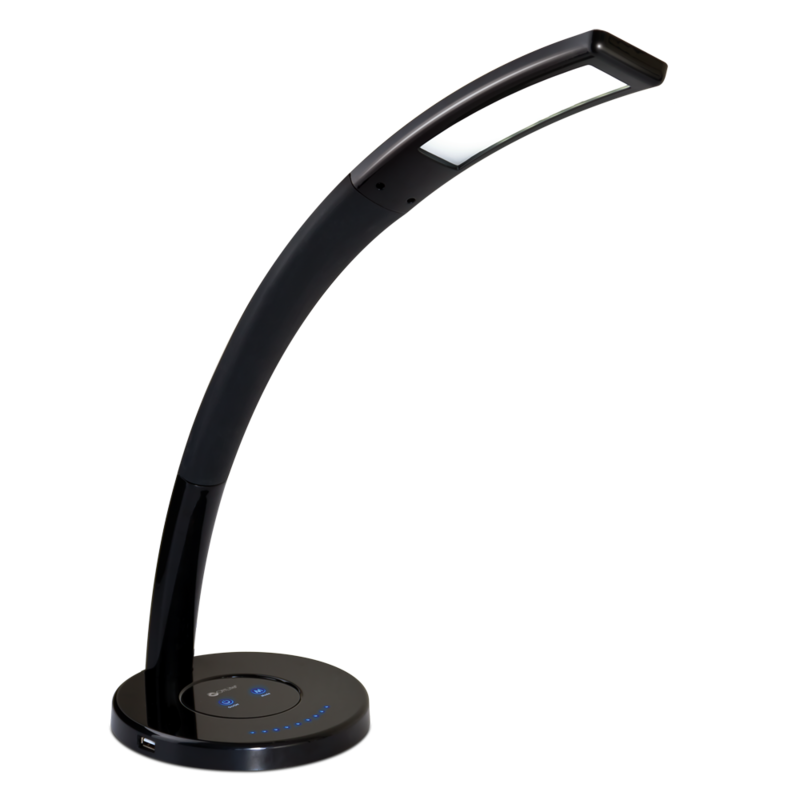 With its sleek and innovative design, the LED Cobra Desk Lamp is perfect for offices, dorm rooms, countertops, end tables and more. 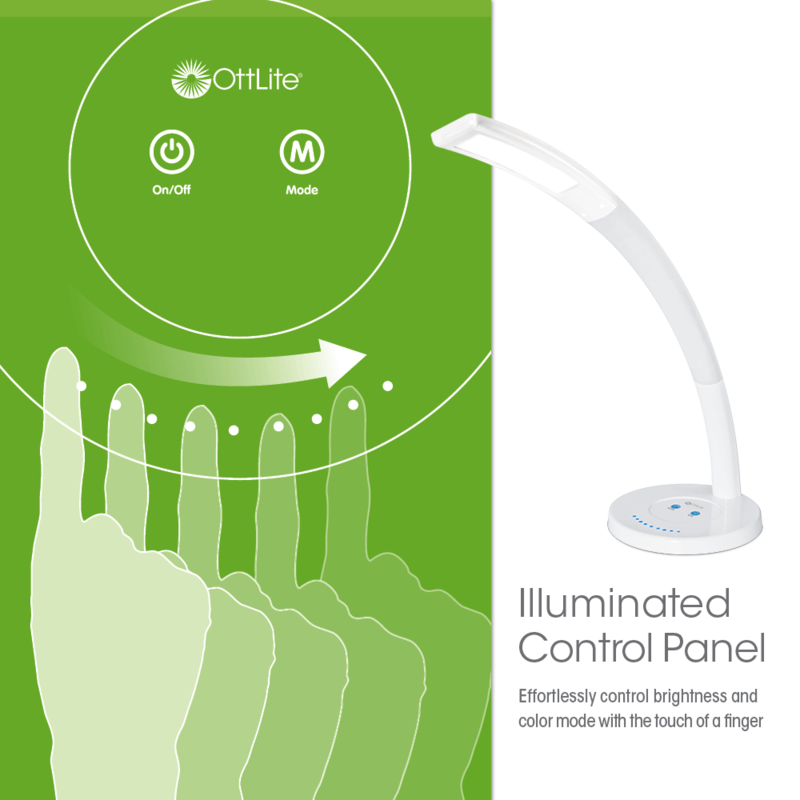 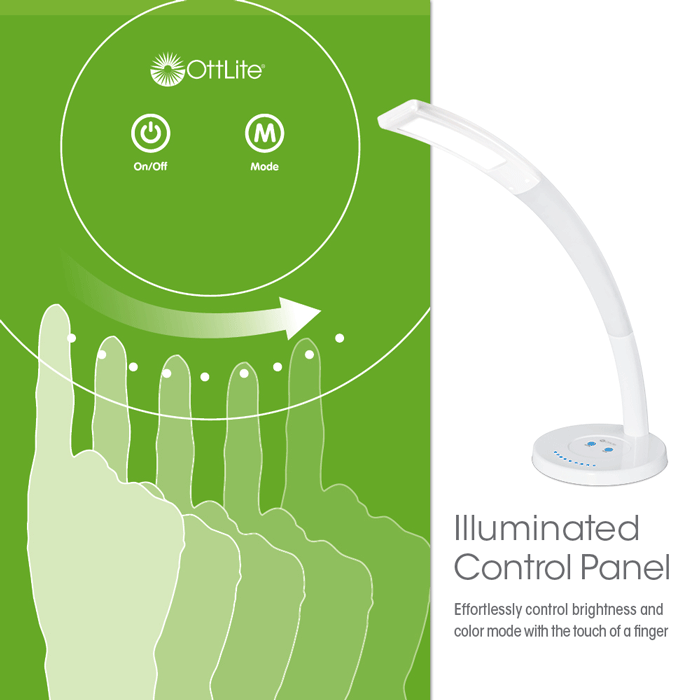 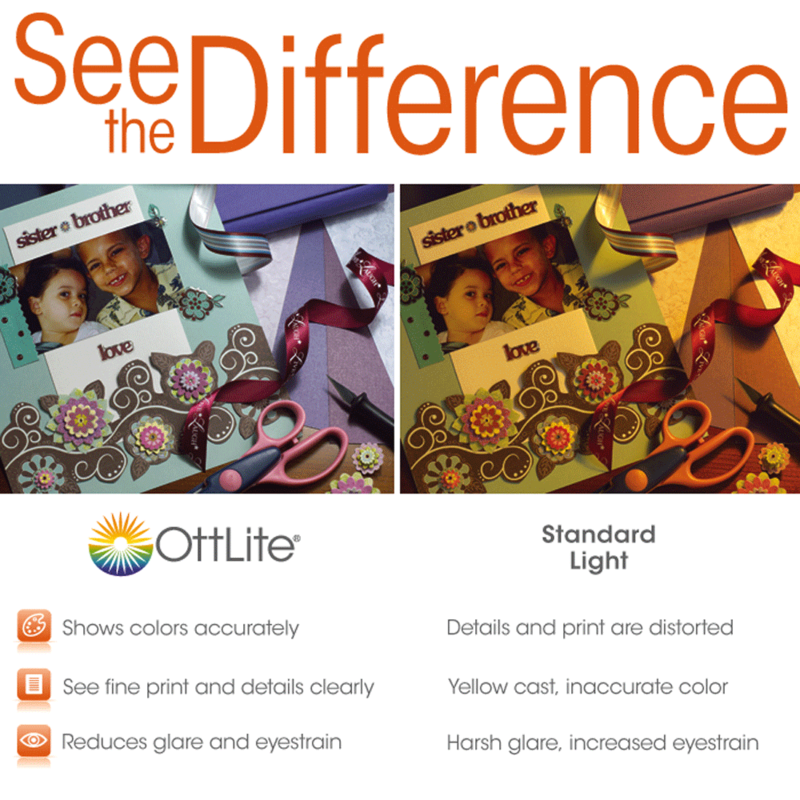 With OttLite you can see details clearly and reduce glare & eyestrain so you can do what you love, longer. 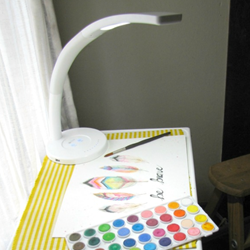 Simple Acres - "With OttLite my art is brighter and lit up to where I can see every detail I am working on! 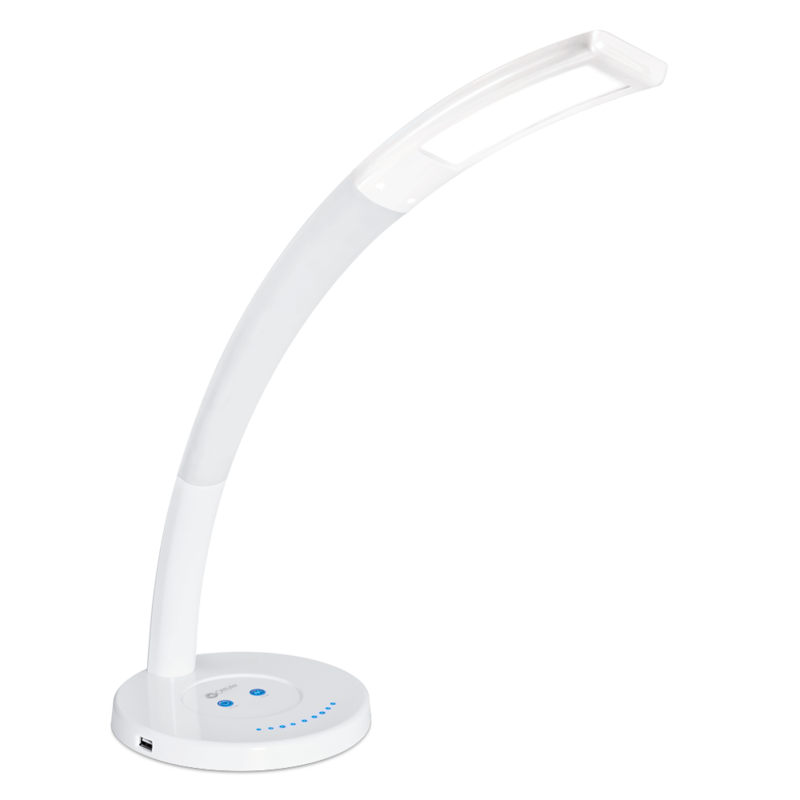 I can move the neck of the light to get the best lighting possible." 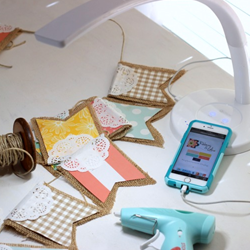 Ribbons and Glue - "Not only does it provide 3 settings of light, one of them being a bloggers BFF, natural light but you can also charge a device at the same time! 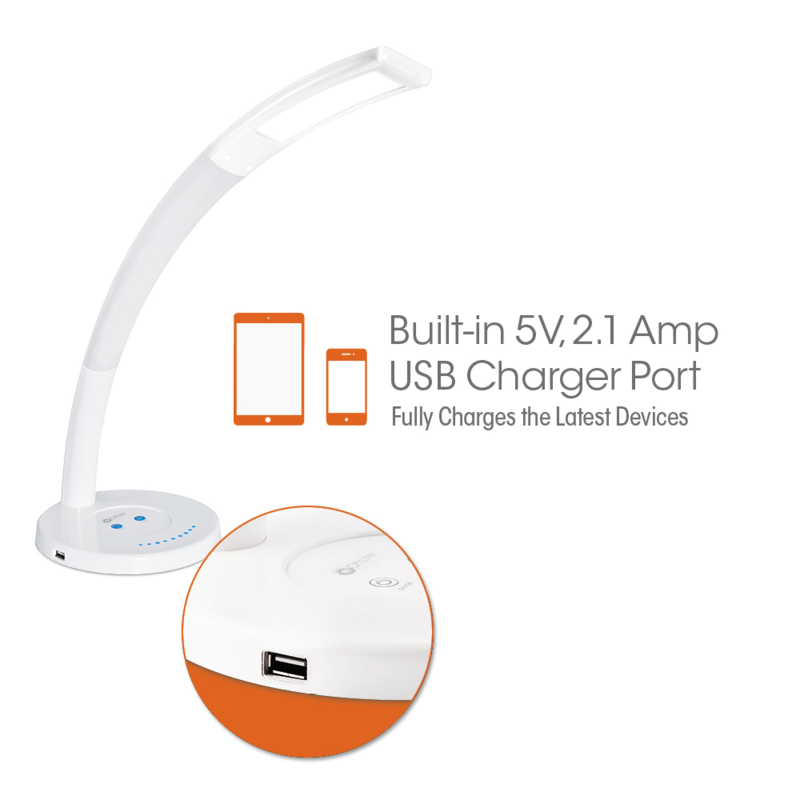 Listen to music, charge my phone and get natural light! Win-Win!"